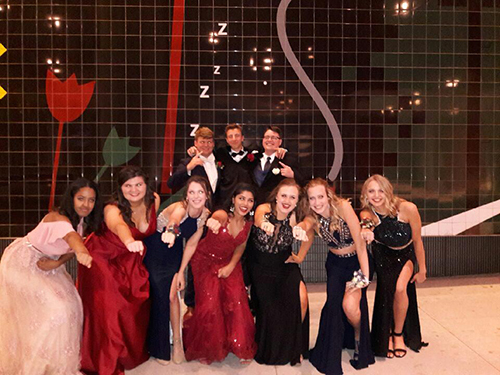 PROM SPECIAL Limo Service in Nashville 2019 Prom rates starting at $599 includes everything for 6 hours. 2-24 Passenger Limos Arrive in style at your Prom in our “talk of the town” Artic White Hummer. This limousine holds up to 24 passengers and has a VIP seating row. 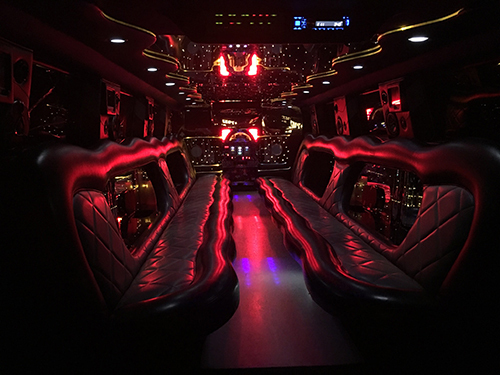 While you ride to the dance enjoy the 100 watt sound system with internet radio, a 360 degree lighting system and a karaoke machine with 2 microphones and over a thousand songs to choose. 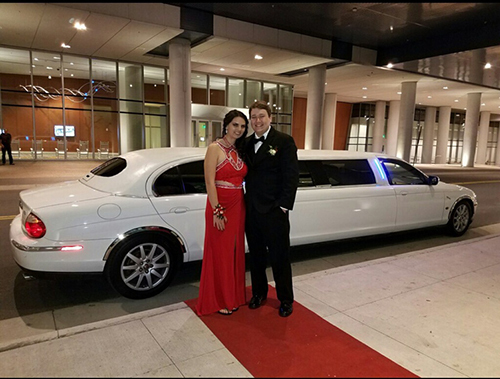 Upon your request we will roll out the red carpet when you arrive at your prom and the chauffeur can video your exit from the limo into the event. We have plenty of other limos to choose so there is one to fit your group and budget. All limos are equipped with a laser lighting system and Bluetooth capable high-end sound systems. You deserve to make this a night to remember. See why Allstars Limousine was voted Nashville’s best limo service. 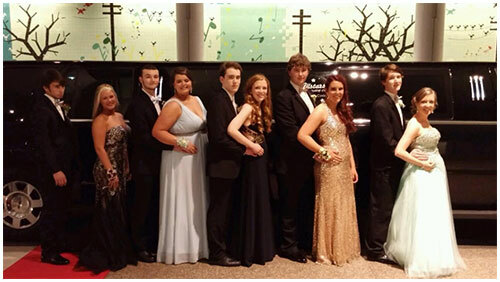 Be part of the Allstars difference nad show up in the best looking limo at your school prom. *Ask about our VIP Senior prom package. *Ask for a party package and we can include party balloons, sparkling cider, soft drinks and bottled water. 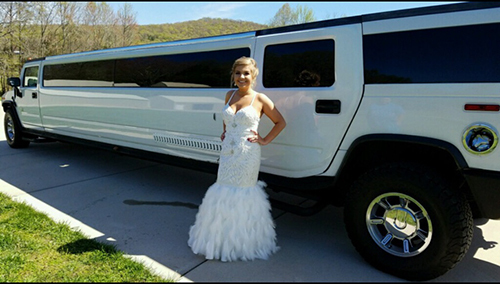 Allstars Limousine offers the best and safest Prom Limousine Service in the Nashville, Tennessee area, as well as Franklin, Clarksville, Murfreesboro, Lebanon, Springhill, Dickson, Bowling Green, Franklin KY, and, towns, cities and counties in between. We have developed our own Kid Safe Program. We track our limos, weather and traffic to insure the safe transport of out clients to and from the event. In the event of severe weather such as tornadoes; we locate the closest shelter for safety. We can also send you text alerts when the limo has picked the kids up and dropped them off safely. Allstars is a family business and we want to make sure the kids have an amazing time and get back safe. Let us do the safe driving to the next teens prom party. 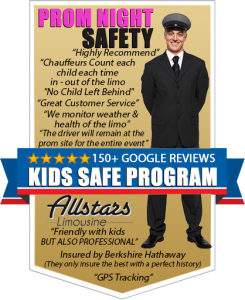 Allstars chauffeurs Count each child each time in - out of the limo "No Child Left Behind"
Book your vehicle today with confidence knowing that your children’s safety is our top priority. Call For Special Pricing !! We will meet or beat any price!! Call or text 24/7 @ 615-516-5701. Or fill out our online request form. View more photos and read reviews on our Facebook page. 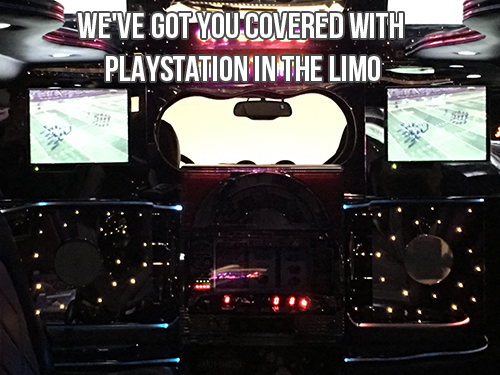 "I used Allstars Limo for a rewards party at my child's school. They were very quick to respond to my request. The price was very reasonable. We had to reschedule because of school closings and they worked with us to reschedule. The driver was very good with the students and was on time and professional. The owner kept in great contact with me and always responded promptly to my questions and concerns. I would highly recommend them for any transportation services. Great company.